Giant jars of pickles were one feature of the group shower at Banner. A baby boom is brewing at a suburban Phoenix hospital where 16 intensive-care nurses recently discovered they are all pregnant. The nurses at Banner Desert Medical Center in Mesa joked they thought there was something in the water when it became clear they were all expecting babies between October and January. The population spurt involves about 10% of the hospital's ICU nurses. Nurse Rochelle Sherman, nearly eight months along, told the Associated Press: “I don't think we realized just how many of us were pregnant until we started a Facebook group.” Nurse Jolene Garrow said that as their pregnancies have progressed, the patients have begun noticing that so many of the nurses around them are expecting. Garrow added that their nonpregnant colleagues have been great at helping with patients they should not be exposed to because of conditions or treatments that are potentially dangerous for expectant women, such as tuberculosis or shingles. 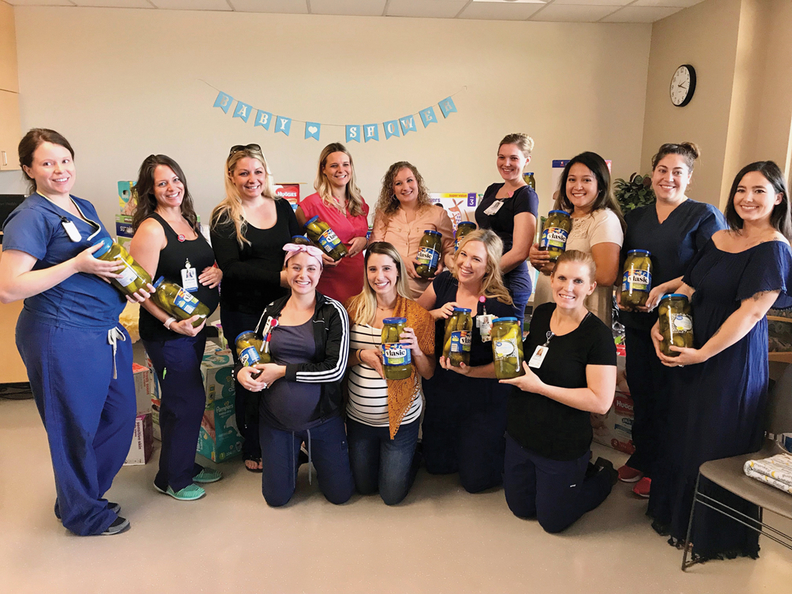 Hospital officials noted that Banner has a pool of floating nurses that should ensure shifts are covered when the ICU nursing specialists begin taking their 12-week maternity leaves starting in the fall.